Dominique Paul Fratkin is our office manager, and the person you are most likely to talk with on the phone or in the front office. A French architect by training, Dominique can answer most of your questions and address your needs. On visits to the clinic, please do not wear perfume or cologne, which jeopardizes patients with chemical sensitivities. For acupuncture visits, please wear loose clothing. I need to get to knees and elbows! Cancellations need to be received 24 hours in advance, and on Friday for Monday appointments. Cancellations will be charged the full price. We are not wheelchair accessible! Sorry. We schedule the first visit for 60 minutes; for children under 5 years, we schedule 45 minutes. Complete fees are listed here, but you should know what to expect on the initial visit. Initial one-hour visits are $180. Herbal medicines and supplements can cost $100 to $200 for a month’s supply. Some patients, especially with chronic digestive problems, may need additional lab tests, which can cost between $250 to $350. Follow-up visits are one hour ($150) when combining an extended herbal consultation with acupuncture, or 45 minutes (simple herbal/acupuncture$115), or 45 minute acupuncture ($95). My practice combines traditional Chinese medicine, nutritional medicine and Japanese style acupuncture. In the first visit, we begin by interviewing you about your main complaint and your history. If your problem involves an internal imbalance, or is chronic and long term, we will do Chinese pulse and tongue diagnosis and electrodermal testing for the remainder of the visit, without acupuncture. We may discuss the value or necessity of doing certain laboratory tests for gastrointestinal complaints, immune dysfunction, skin problems and allergies. Based on the consultation, a patient will be given one to six medicines meant to last three to four weeks. These medicines include Chinese herbs and nutritional medicines. Chinese herbs may be in product form (pill, tablet or tincture), or customized to your condition in powder or tincture form. I have found the combination of Chinese herbs and nutritional medicines to be effective clinically. 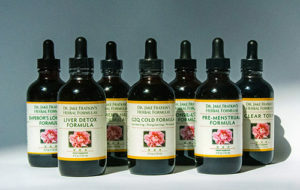 I may also use German homeopathic combinations to aid in detoxification, and Bach Flower remedies for emotional stress. 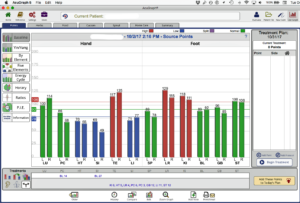 Many patients come in once monthly for this evaluation, and in a 60-minute visit we can usually include front-sided meridian-balance acupuncture. Others chose to schedule an hour appointment in order to have a two-sided acupuncture treatment (front and back). 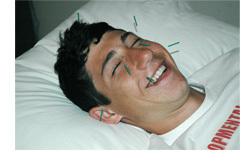 Acupuncture sessions can be performed in a 45 minute session without the herbal consultation. Many patients choose to have acupuncture without taking herbal or nutritional medicines, and acupuncture is the preferred treatment for stress reduction, immune enhancement, pain, inflammation, injured tissue and musculoskeletal problems. I use the 3-Level Acupuncture Protocol, which I have developed, which combines Japanese Meridian Balancing for the front side, and Japanese-style structural balance for the back. Japanese acupuncture is powerful yet more gentle than Chinese-style acupuncture, and is not well-known in the United States. Patients usually require an initial series of 3 to 6 treatments. Whereas Chinese acupuncture uses point combinations to focus healing on a specific area, Japanese meridian balance evaluates and compares relative imbalances of the twelve acupuncture channels. When the channels are in balance, a deeper healing takes place. It is more suitable for patients with a multitude of complaints, and also serves as a foundation treatment in pain and injury. Japanese meridian balancing acupuncture is especially effective for repairing damaged organs, building vitality and immune strength, and regulating endocrine function. I often use micro-electric stim (with or without needles) for treating pain, reducing inflammation, and promoting tissue healing. I also do ear acupuncture as the branch treatment on most patients, while body needles are in place. In the first visit, I will recommend what I think is the best way to proceed. You will make your own decision based on many factors, and I will be happy to discuss working with your own proposals or concerns. I do request the following. I try to determine the best choices for natural medicines, and I try to keep those choices to a maximum of six medicines. Too many medicines can dilute the overall efficacy of the therapy. It is not helpful if you take a variety of medicines from other practitioners or if you impulsively self-medicate, and so I ask you to let me direct the selection of medicines. The exceptions are the single homeopathic remedy administered by a classical homeopath, some basic vitamin and mineral support, and prescription medicines recommended by a medical doctor. If there are medicines that you have been taking or think would be helpful, please bring them in during your first visit. I look forward to meeting you and working together to resolve your health problems. My guiding belief and 30-plus years of experience is this: Most health problems are temporary. The body can heal itself when given the right cues and support.